(2) You stumbled upon this lovely corner of Internet as a visitor and may have wondered what this website is about. Either way, I’m glad. I hope you feel welcome. Feel free to explore what Verge of Verse has to offer. One way in which I experimented with the redesign was to change the logo/header image for the website. I even created a variation of it, which you can see on the site’s Facebook page and on my Twitter page. If you’ve been with Verge of Verse since the beginning, you’ll notice that I changed the color scheme from teal/turquoise to navy blue/indigo. There was just something about navy blue and indigo against a white background with black and grey accents on a page that felt more intense and immediately grabs your attention, as opposed to the softer color palettes I had previously chosen. 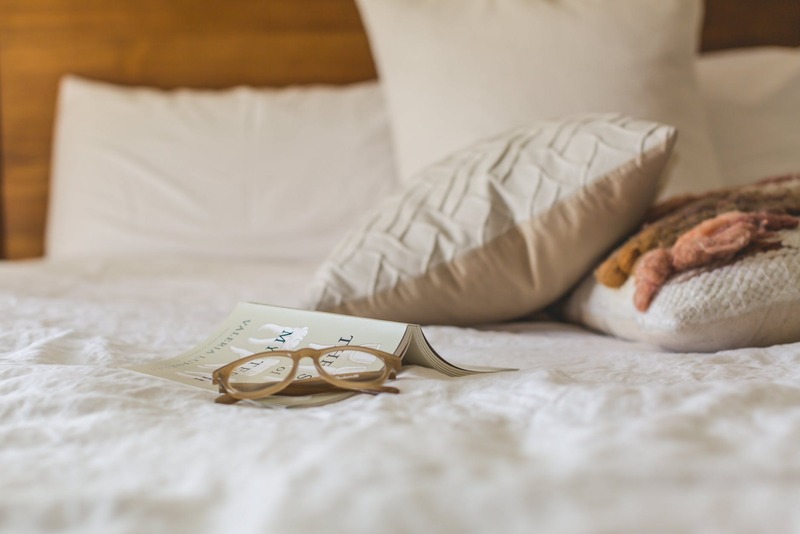 I like soft, “feminine” palettes as well, but sometimes the faded, soft, ethereal effects detracts from reading the actual content of a blog or a website. If a person wants to go to a website and spend a lofty amount of time to sift through articles and click through the navigation bar of your website, then they should be able to do so without feeling like their eyes are strained just to read. The softer, faded tones of a “feminine” website just didn’t feel right for Verge of Verse, and I wanted something that felt edgier and quirkier, if you will, for a project that presents itself as being “on the verge” of something, such as writing a verse, or creating something different, new, and unique. Of course, if you have a website that has softer tones and a more “feminine” touch to it, then I’m sure it’s because such a theme matches the tone of your content. 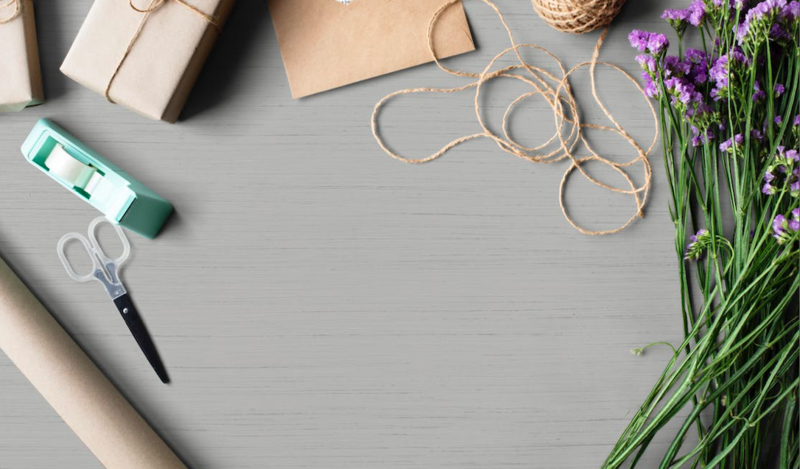 Though, sometimes it’s difficult to say which design choices to make because design can be as subjective (e.g., personal tastes, preferences for particular aesthetics) as it is objective (e.g., the visibility, recognizability, personality, and flavor of your brand). I love using serif fonts because they have a literary feel to them. Consider my use of a serif font as my ode to the printing press and typewriter, the tools that have transformed the world of publishing since the inception of calligraphy. Instead of going with the traditional “Times New Roman” or “Georgia” fonts, I decided to deviate a little and use “Playfair Display” as the main font. Its slightly narrow size compared to its aforementioned serif counterparts is still legible enough so that your eyes glide easily across the screen as you read the content. I thought that “Playfair Display” had its own kind of light, whimsical personality to it while still trying to keep the reader’s focus on the content. “Thinking with Type” by Ellen Lupton. Image: Daniel Morosan via Flickr. While I do appreciate great typography, I also adore calligraphy, as represented in both versions of the header by the fountain pen and my own personal cursive handwriting for the site name. There’s something organic, natural, raw, and unique about things that are handwritten. Some psychology researchers have even gone so far as to analyze various styles of handwriting and concluded that your personal handwriting can impart certain key aspects about your personality as an individual, though of course most of this research is correlational. I’m still skeptical about how accurate handwriting analysis actually is, but it’s still interesting to note that such studies exist, established around the time the FBI were developing their investigative methods to track down possible suspects who would mail them handwritten notes anonymously. 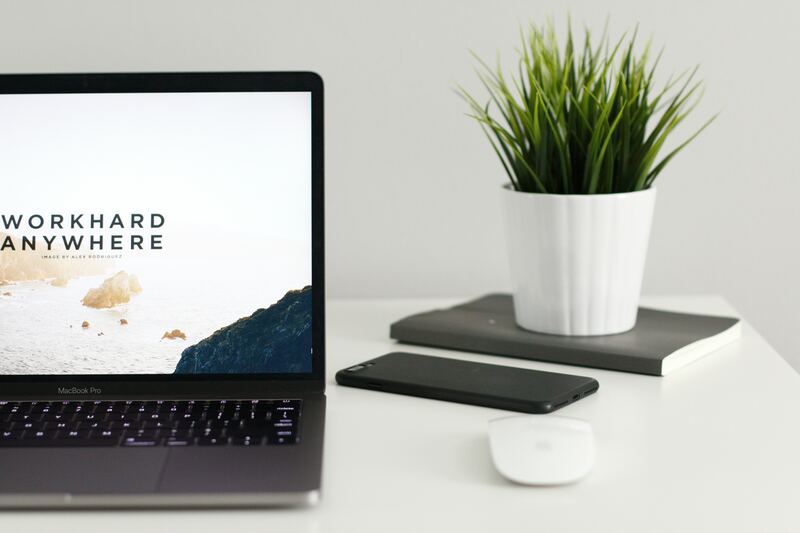 I am a word nerd and a lover of curating creativity in general, so I chose these images — the typewriter and fountain pen — to set the tone and visual aesthetic for the site and its associated social media pages. Hope you enjoy the new designs. I’m still learning about web design, editorial design, and being an editor with her own publication project, so I hope my skills have shown some improvement in these new designs. 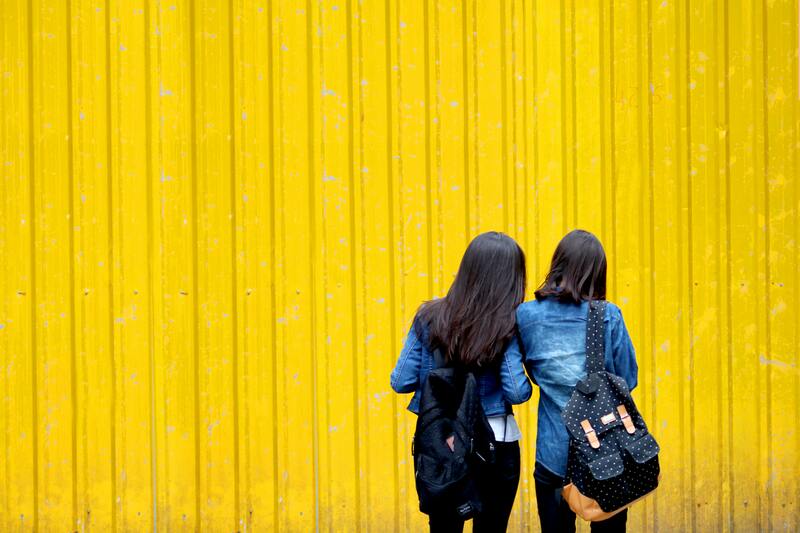 I have to admit — it can be quite a struggle to maintain a website with fresh new content while maintaining your primary responsibilities in the real world, especially if you have a full-time job that drains most of your energy and you volunteer in an international organization as a youth advisor mentoring young girls. I don’t even have a boyfriend right now, nor do I have a family of my own yet, and already I feel exhausted. I commend all of you who juggle all of these responsibilities and more because this is part of what makes you guys amazing. The website wasn’t the only thing that I have been wanting to work on again. Despite all of the setbacks in my hectic and busy schedule, I finally took reign and decided to return to the gym again. Granted, I had signed up for a membership at Planet Fitness near 14th Street, Union Square (it’s slightly cheaper than membership at Lucille Roberts across the street, where I used to go to exercise). However, due to the series of blizzards and snowstorms that pelted much of the Northeastern region throughout January and March, I just haven’t been very good at keeping my renewed resolution of staying fit. Just look at the amount of snow we had gotten in the January blizzard (and then again throughout February). Then last week (once the temperatures weren’t as cold), I decided that I needed to exercise again. My muscles ached, but they were largely due from lack of sleep and from stressing out about both my job and the youth organization where I volunteer as an advisor. Most of my stress came from trying to fix other people’s problems — issues that could have otherwise been avoided, but somehow fell on my lap to resolve simply because I was either their coordinator or their advisor. I needed a way to manage my stress more positively and productively. Exercise was my way of doing that (aside from writing in my journals and working on this website). I used to exercise more frequently and more regularly, switching between cardio at the gym and stretching at the yoga studio, prior to my cousin’s wedding last year (I had lost about 15 lbs. trying to fit into the bridesmaid dress). I used to exercise to help me release the stress and frustration I would be feeling from trying to troubleshoot everything. I figured, well at least if my muscles ache, I’d rather have them ache because I had a good workout. So I went back to Planet Fitness and got back on those elliptical and treadmill machines with my iPhone blasting my workout playlists from my music app and Spotify. It also helps that each of the machines at the gym, which are all manufactured by Life Fitness, had built-in screens for cable television. You can choose whatever channel you want, rather than settling for sharing the screen with other people while working out. So I was watching The Daily Show with Jon Stewart and Jeopardy while running and stretching my arms. I like that concept — being able to exercise my body and my mind at the same time. Several studies over the years, like this one published by Harvard School of Medicine, have suggested that exercise not only significantly reduces risk of heart disease, diabetes, and stroke, but also helps your brain improve its cognitive capacities for memory and critical thinking and lowers your chances of getting dementia or Alzheimer’s disease when you’re older. Based on my own experiences of reading books on my tablet while occasionally checking my heart rate on the elliptical, I’ve felt more productive, efficient, and energized. Some people might warn you against reading or watching television while you’re working out, but honestly, I need my brain to focus on something else other than the soreness in my legs in order to make it through an entire session (I usually work out for about an hour). The next time I go to the gym (no matter what the PR department of Planet Fitness says, it’s still technically a gym — sans the bulky body builders), I might just bring my iPad mini and flip through one of the ebooks I bought. Is it weird that I feel psyched to read assigned class readings during my workouts in the fall? 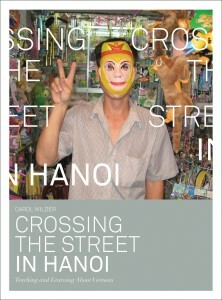 In addition to my acceptance letter and some informational brochures about The New School and what to expect in the upcoming months, the folder also contained a complimentary book by Carol Wilder, one of the faculty members in the Media Studies Department, called Crossing the Street in Hanoi. It’s an in-depth and innovative book about the effects of the Vietnam War and how life in Hanoi has been transformed in the years that followed after the war was over. It features stories from eight people who lived through the Vietnam War and have shared their experiences of how the trauma of war has affected them. 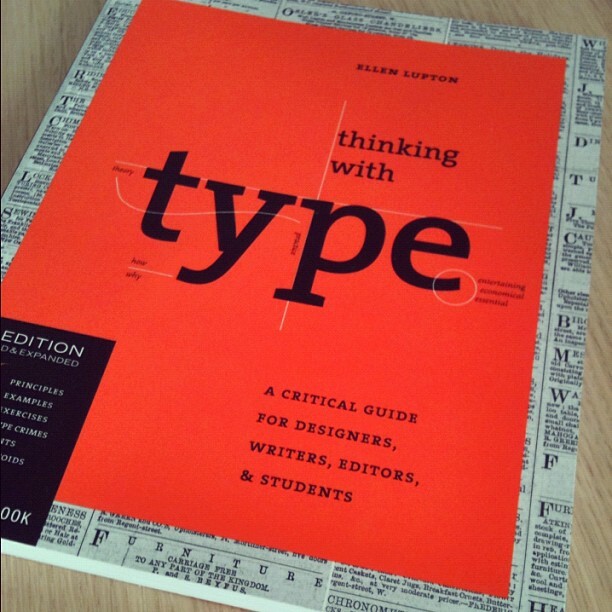 I’ll be adding this to my “To Read” list along with Thinking with Type by Ellen Lupton. “Crossing the Street in Hanoi: Teaching and Learning About Vietnam” by Carol Wilder, professor of media studies at The New School. 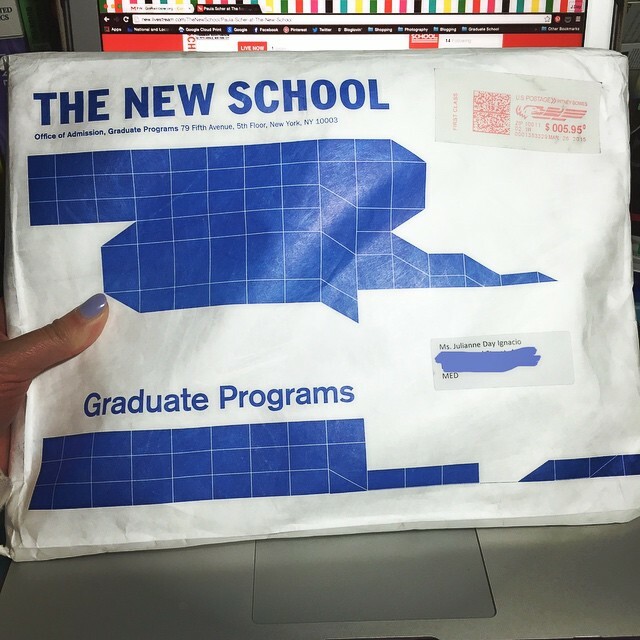 Upon receiving the packet, I started coming up with a list of things I need to follow up with: paying my tuition deposit, looking for other financial aid/scholarship opportunities, going to the admitted graduate student reception, and figuring out which classes I want to take in the upcoming semester so that I can already set my schedule. In the midst of carving out the rest of my future, I realize that I have certain decisions to make. Decisions that involve breaking away from my current job and possibly shifting gears to another entry-level job that is more relevant to my course of study. I know that I’m set on my choice: I need to leave to pursue a job that feeds my passions and creativity. However, the struggle is finding a new position with a decent income (to pay for graduate school) and then determining the right timeframe to announce my decision to my current employer. Don’t get me wrong; I like my colleagues, but I just don’t really see myself working in the healthcare field in the years ahead. Sometimes you just have to go with your gut feeling and choose a different direction in life. No matter how daunting that diverging road may look, once you have made your decision, you just have to keep on moving forward and trust that you’re headed in the right direction. 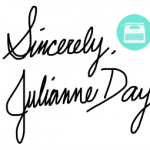 A bonafide bookworm, self-proclaimed nerd, Austenite, Whovian, and cat-lover, Julianne Day Ignacio is a born-and-raised Brooklynite who loves to listen to a good story and help others cultivate their writing and storytelling skills. Julianne received her Master's degree in Media Studies and Certificate in Media Management from The New School. You can find her crafting new content and updating the social media outlets for Verge of Verse, snapping photos on Snapchat (@jdayignacio), or chilling out at a cafe or park as she writes about her discoveries and her adventures in the city. Congratulations, Julianne. What an exciting time. My daughter just turned 25 also, and she’s in grad school too. I’ve watched her grow and completely bloom over the past months, discovering and following her passion. Best to you as you follow yours. Hi, Gina.Thank you for the words of encouragement! I still have much to learn, and though it’s scary at times, I look forward to the challenges ahead. Best of luck to your daughter as she starts her new chapter, too. With you as her role model in following her passions, I’m sure she’ll be successful in whatever endeavors she chooses to pursue. Looking forward to reading your posts at Peaches and Prosciutto!